Flimsy casing just won’t cut it in the long run. 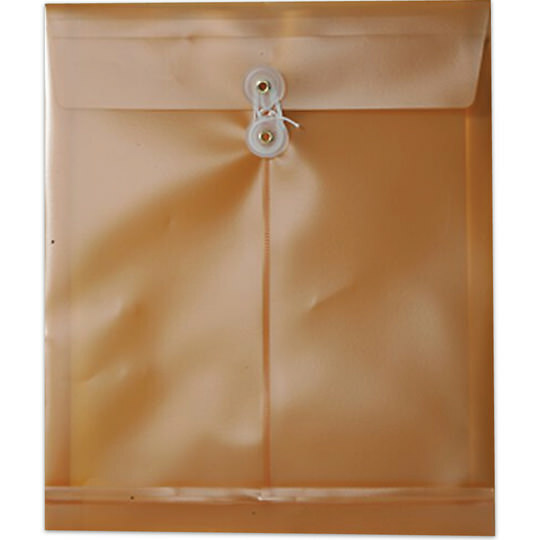 A plastic envelope has that lasting eminence, so you can be sure it’ll hold up over time. Go for the gold with Gold pearl or Metallic Desert Sand Button & String Envelopes and make your daily system easier. Incorporate these envelopes into your routine for better paperwork management. Don’t run back to your desk for forgotten work or bother with missing documents: Carry around a Gold Plastic Envelope that holds it all. Gold Pearl Envelopes have a 1 inch expansion, so your file system can stay the same even when your papers increase. Add some gold to your workspace, and some organization to your routine.